The origins of the village are unclear, as there is no historical data. A legend claims that above Várpataka once there was a mighty fortress, built by the son of Sarolta, Tiburc or Tiborc. Locals figure the village’s name, which was originally Biborcfalva is linked to the builders’ name. The archaeological excavations which took place at Tiburczvára (the fortress of Tiburc) revealed an oval wall structure, believed to belong to an early medieval fortification. Our earliest information about the village date from 1332 and the following years (1333, 1334), which tell of a village named “villa Bybouh” or “villa Byborch”, in the Sepsi church district, and their priest named Blasius (Balázs) who was obliged to pay the tithes – one tenth of annual earnings, formerly taken as a tax to support the Roman Catholic Church and clergy. The medieval written sources barely mention the village. After the Reform, in the 17th century the deanery parishes of the region included Bibarcfalva. Its Reformed church, a historic monument is visited today by numerous tourists. 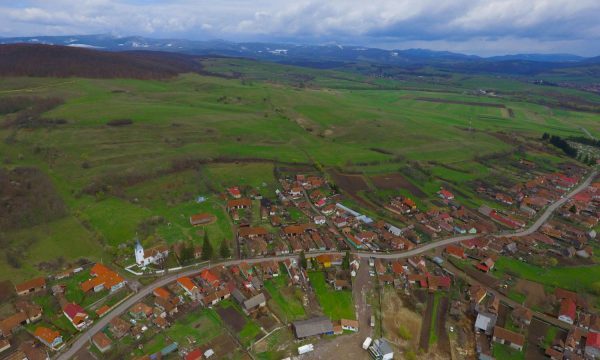 Looking for accomodation around Biborţeni? Click the button below, and you can find a suitable place in just a few minutes.